Home / Branding / Tour de marketing? 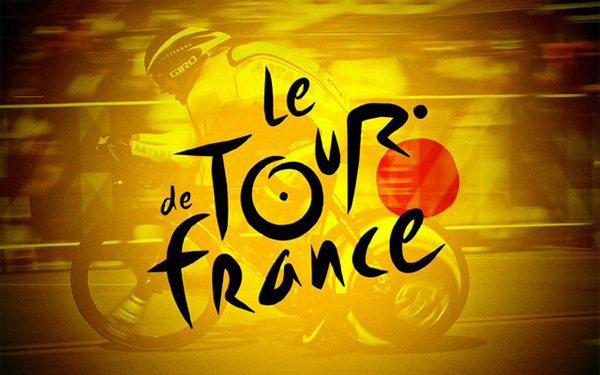 It’s July and in our house that means it’s Tour de France time. 180 competitors pedal 2,000 miles over three weeks. I find it to be the the most thrilling, colorful, majestic, enigmatic and difficult of all athletic competitions. 40 MPH field sprints, epic crashes, lung searing alpine ascents – these athletes are truly warriors. And of course, the tour is big business. It costs an estimated $20 million dollars to sponsor a pro tour team. More than $150 million to stage the race. It’s televised in 180 countries and, in many of these places, trails only soccer in terms of popularity and marketability. Not to mention the economic impact in France – 15 million spectators line the course and pour money into towns along the route. But as the race goes on and these goals become out of reach for most teams and riders, there are still ways to cash in. Take the breakaways for example. Typically, a handful of riders will race off the front. It’s futile 99% of the time as the peloton working together can move far faster then a few riders. So why risk it? Well, with roughly half the population of France watching on television – not to mention viewers around the world – the rolling billboard that is the rider can mean hours of brand exposure. As a marketer as well as a cycling fan, I find it especially interesting that the sponsor’s objectives actually can help dictate race tactics. Marketing opportunities don’t begin and end with team sponsorship. From billboards and banners lining the course to a mom and pop bike shop’s “tour sale” – promotional opportunities abound. Guerrilla marketers even seize on the potential hoping that their roadside stunts can capture the attention of the cameras and a precious few seconds of worldwide TV exposure. Sponsorship is not without risks. The doping scandals that have plagued cycling in recent years are obviously not the type of association sponsors are looking for and have created an atmosphere of caution among marque brands and former tour sponsors. While cycling has continued to aggressively police itself and many feel these issues could be a thing of the past, the lure of increased performance will always appeal and one poor decision by a racer could cost a sponsor dearly. With that said, even in the post-Lance era, the tour rolls on. For three weeks every summer it provides an experience that is equal parts an HD tour of the French countryside and an un-paralleled test of tactics, emotion and determination. If you have never tuned in, give it a try. And don’t forget to patronize the sponsors!